Sensitive equipment needs durable and reliable protection when they get deployed in harsh and adverse environments. 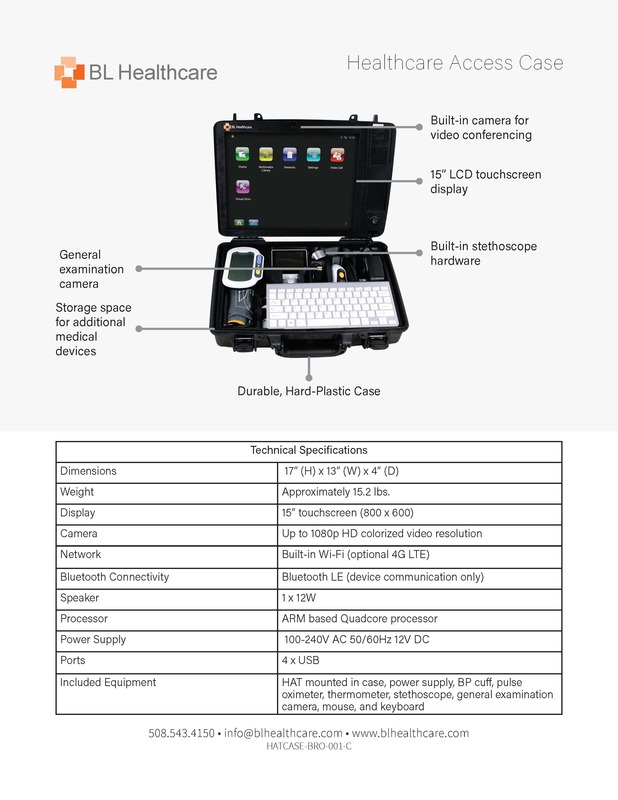 The HAT Case provides a drop-proof, dust-proof, and water-resistant means of transporting the Healthcare Access Tablet through conditions as variable as the extreme cold of the Arctic or the intense heat of the Sahara. The cart can easily be wheeled from place-to-place and includes an optional battery for maximum portability.